The Index was able to start a new ascending movement. It looks like the price has already completed wave (4) and may continue forming growing up during the next several weeks. We can’t exclude a possibility that during this week the instrument may start a correction inside wave 2. 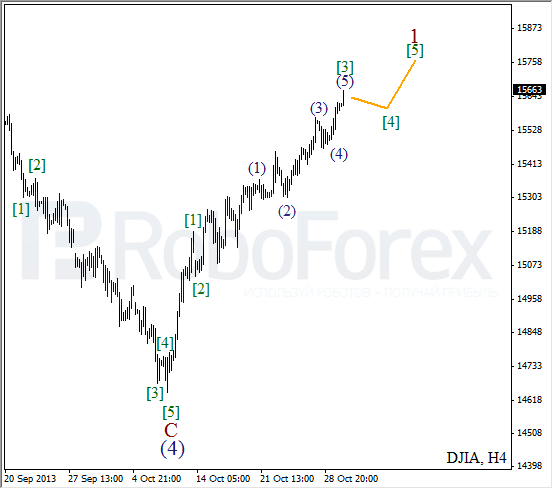 More detailed wave structure is shown on the H4 chart. We may assume that the price finished an extension inside wave . After the price finishes the fourth wave, I’m planning to open several buy orders with the target at the end of the fifth one. 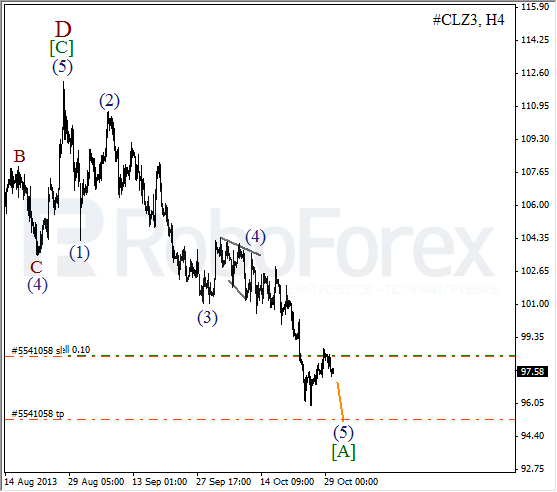 Oil continues moving downwards inside wave [A]. 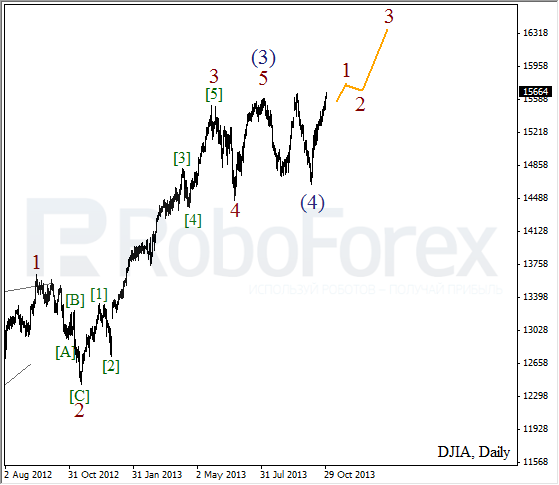 Most likely, in the nearest future the price will break a local minimum while forming wave (5). Later the instrument is expected to start a deeper correction. 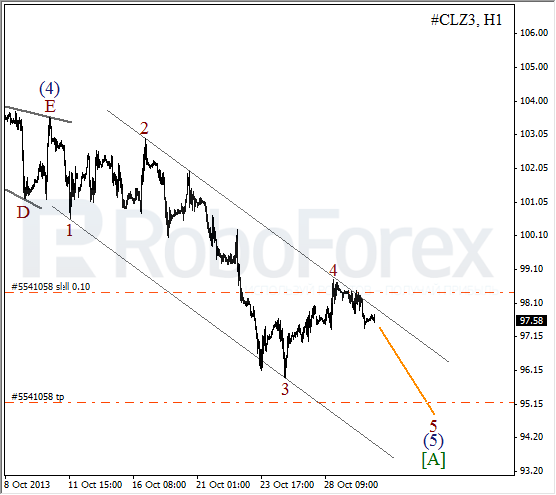 As we can see at the H1 chart, the instrument is falling down inside the descending channel. Earlier the price rebounded from the channel’s upper border and I moved the stop on my sell order into the black.